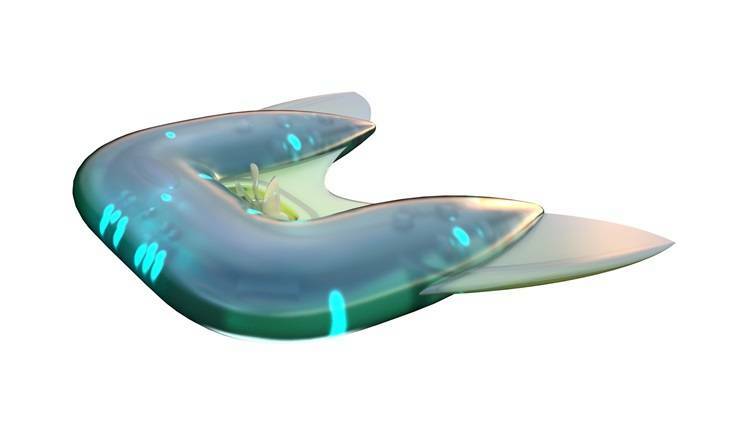 A crewed mothership shaped like a manta ray, unmanned eel-like vessels equipped with sensor pods which dissolve on demand to avoid enemy detection and fish-shaped torpedoes sent to swarm against enemy targets. 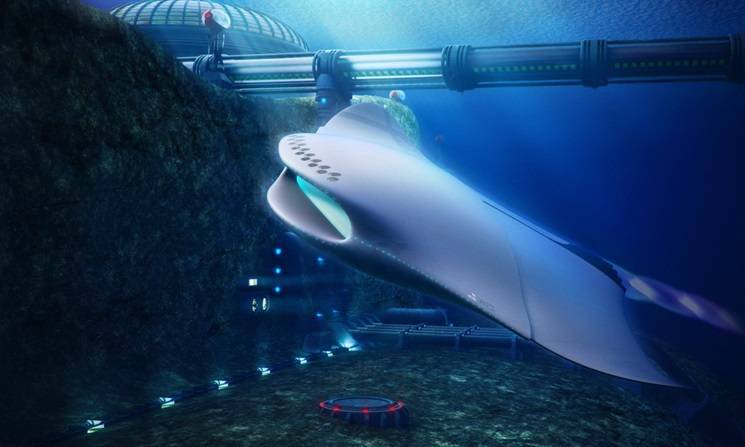 Though these vehicles look more like something designed in Hollywood for the next sci-fi blockbuster, they’re actually new concepts developed by the U.K Royal Navy to transform the future of underwater warfare. Challenged to imagine what a future submarine would look like and how it would be used to keep Britain safe in decades to come, the U.K.'s brightest and most talented young engineers and scientists went to work for the Royal Navy’s Nautilus 100 project, set up to mark the 100th anniversary of the launch of the world's first nuclear-powered submarine, USS Nautilus. 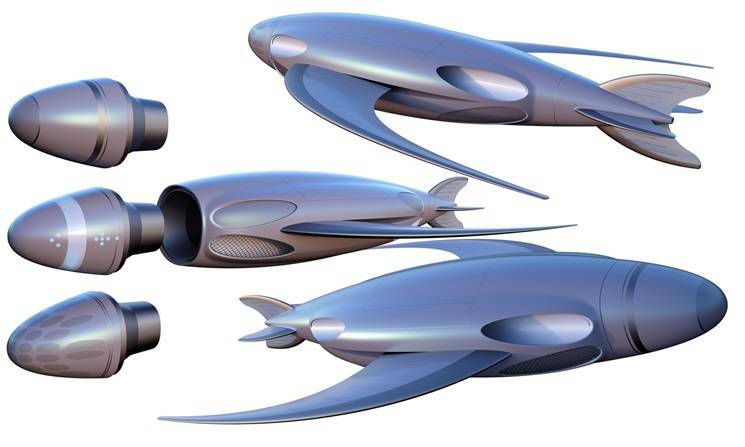 What the Nautilus 100 engineers came up with was a new series of futuristic submarine concepts engineered to mimic real marine lifeforms. The science and engineering graduates and apprentices, aged 16-34, took the complex systems required by an advanced submarine and applied the latest technological ideas to make them easier to construct, cheaper to run and more lethal in battle. 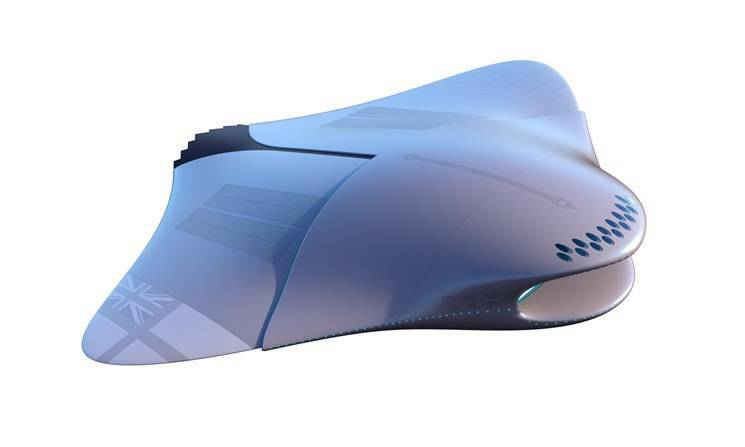 The whale shark/manta ray-shaped mothership would be built from super-strong alloys and acrylics, with surfaces which can morph in shape. 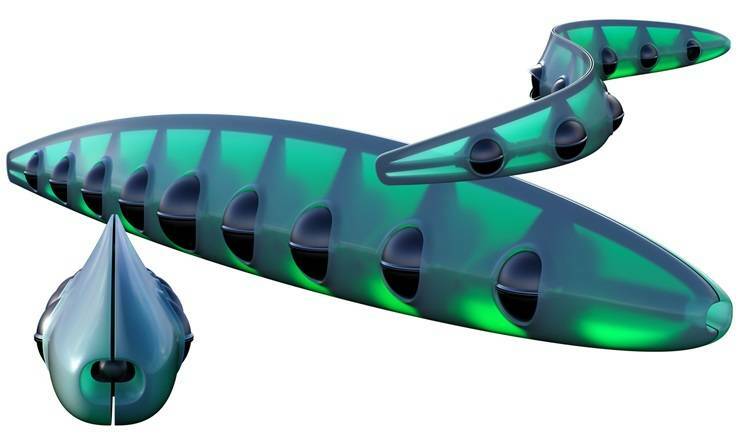 With hybrid algae-electric cruising power and propulsion technologies including tunnel drives which work similarly to a Dyson bladeless fan, the submarine could travel at speeds up to 150 knots. 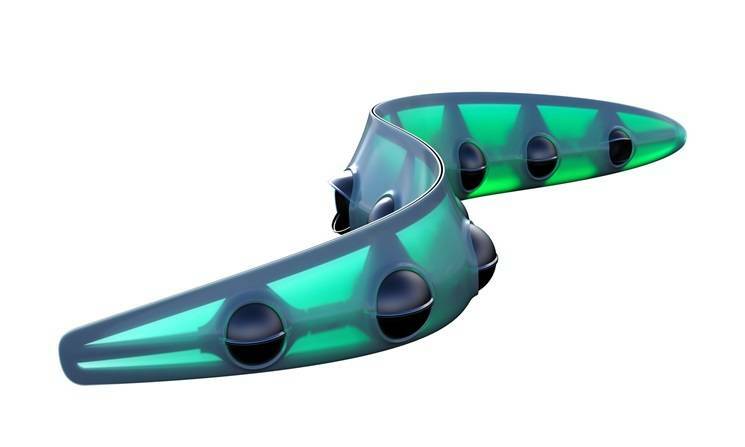 This mothership would also be capable of launching unmanned underwater vehicles shaped like eels, which carry pods packed with sensors for different missions. 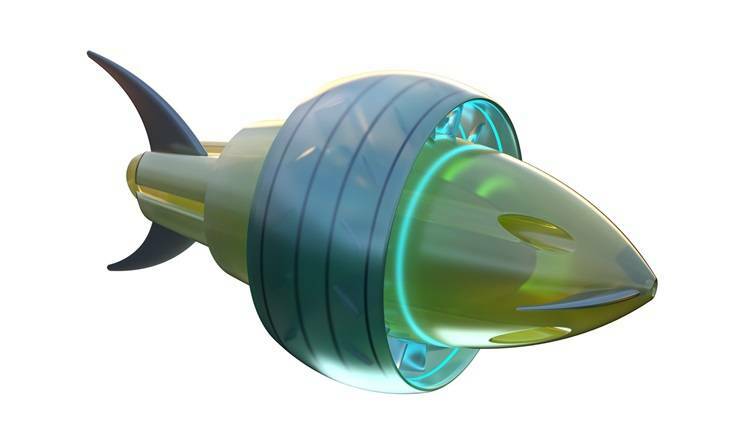 These pods can damage an enemy vessel, or dissolve on demand at the end of an operation to evade detection. 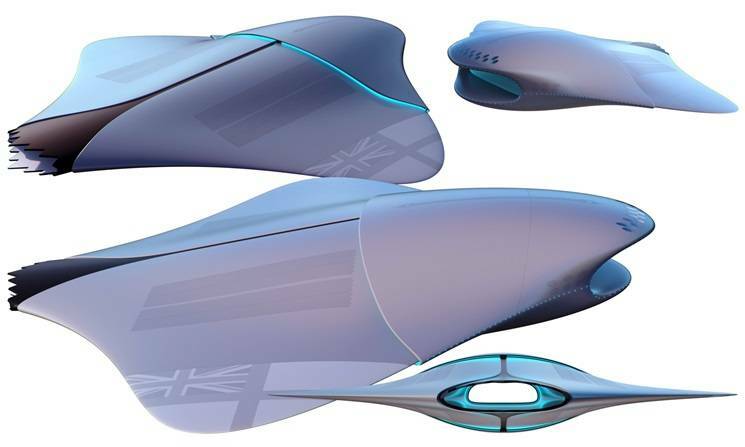 “These remarkable designs display the great promise of our young engineers and scientists and the great ambition of the Royal Navy,” said U.K. Defense Minister, Harriett Baldwin. Young British scientists and engineers from UKNEST, a not-for-profit organization which promotes science, engineering and technology for U.K. naval design, answered the challenge. More than 20 of them took part in the project, “visioneering” a new submarine fleet for the future Royal Navy. Gemma Jefferies, 21, from Bristol, is an engineering assistant with L3 Marine Systems UK. Jefferies, who took part in the project, said, “It was amazing to see a whole manner of disciplines coming together in this project. It was great to let our imaginations run with crazy ideas, some that may not actually be considered science fiction in the near future." Rear Admiral Tim Hodgson, the U.K. Ministry of Defense’s Director of Submarine Capability, said, “We want to encourage our engineers of the future to be bold, think radically and push boundaries. From Nelson's tactics at the Battle of Trafalgar to Fisher's revolutionary Dreadnought battleships, the Royal Navy's success has always rested on a combination of technology and human skill. 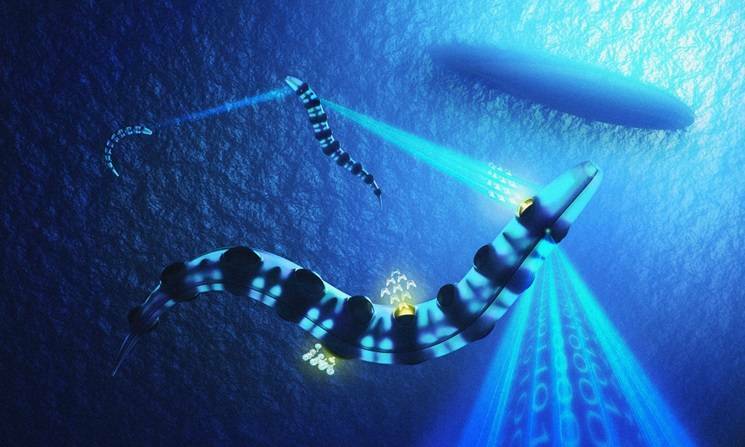 Commander Peter Pipkin, the U.K. Royal Navy's Fleet Robotics Officer, said, “With more than 70 percent of the planet's surface covered by water, the oceans remain one of the world's great mysteries and untapped resources. “It's predicted that in 50 years' time there will be more competition between nations to live and work at sea or under it. So it's with this in mind that the Royal Navy is looking at its future role, and how it will be best equipped to protect Britain's interests around the globe. “Today's Royal Navy is one of the most technologically advanced forces in the world, and that's because we have always sought to think differently and come up with ideas that challenge traditional thinking. If only 10 percent of these ideas become reality, it will put us at the cutting edge of future warfare and defense operations."